PHOTO: The Broadmoor in Colorado Springs is the only property to receive a AAA Five Diamond rating every year since AAA began rating hotels in 1976 (courtesy The Broadmoor Facebook page). So, you’re researching a hotel or resort to go to in the Bahamas, but you’re confused. Wait a second…this hotel was ranked five stars on TripAdvisor, but the American Automobile Association (AAA) ranked it four stars. Fortunately for you, TravelPulse is here to clarify things. Interestingly enough, for some hotels and resorts, the AAA Diamond rating actually holds more water than star ratings these days. Because star ratings on different websites and publications are generally constructed independently by these sites and publications. So, you can see how having different measures produces different results. Forbes Travel Guide, formerly Mobil Travel Guide, lays claim to creating the five-star rating system back in 1958 and is generally the standard professional star rating measure in the United States. Forbes Travel Guide sends out anonymous inspectors that rate each property examined based on up to 800 different criteria. For the 2014 official Star Rating list, Forbes Travel Guide made nearly 1,000 visits to hotels, restaurants and spas. Only 97 hotels in the U.S. were dubbed “five-star” properties. Forbes Travel Guide is one of the star rating systems that still holds a lot of value, even for hoteliers who prioritize making AAA happy. Some properties, like the upscale Burj Al Arab in Dubai, claim they are “seven-star” properties, but these are either self-designated ratings or recommended as seven-star properties by certain reviewers. Standard ratings only go up to five stars. The AAA Diamond rating system is the only rating system that encompasses the U.S., Canada, Mexico and the Caribbean. Like Forbes Travel Guide, the AAA Diamond system sends out anonymous reviewers to hotels, who rate properties based on AAA member priorities. Each year, AAA evaluates more than 29,000 properties, including resorts, inns and bed and breakfast spots. Just 0.4 percent of these properties are awarded the distinguished AAA Five Diamond designation. 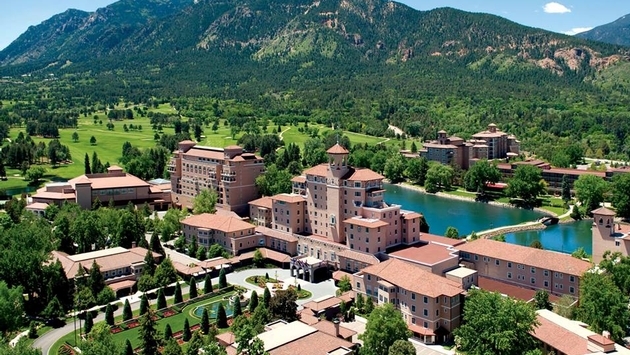 Since 1976 (when AAA began rating hotels), only one hotel has maintained a Five Diamond rating every year: The Broadmoor in Colorado Springs, Co (take a bow, Broadmoor). What distinguishes AAA Diamond ratings from star ratings is the fact that a Four Diamond property isn’t necessarily a peg below a Five Diamond property. What differentiates a Five Diamond from a Four Diamond? One word: luxury. So, a Four Diamond is still highly regarded in the industry; a Five Diamond simply has more money at its disposal. In that respect, AAA encourages travelers to sort through its ratings based on what they are looking for (for example, budget-friendly or ultra luxurious). There is nothing wrong with a One Diamond hotel if you are looking for a “budget-oriented” property “offering basic comfort and hospitality.” After all, if you have one diamond that means you did indeed pass AAA’s inspection. It’s the properties that don’t have a AAA diamond rating at all that travelers should be concerned about. You can find AAA’s specific hotel rating definitions on AAA.com. Does that mean general star ratings shouldn’t be considered important at all? It just means you should probably be more critical when looking at a star rating system. Most rating systems are explained if you dig a bit on the website (as for the ones that aren’t explained, steer clear). For example, Hotels.com has two different ratings displayed for hotels: one based on the “industry standard” and another based on guest reviews (guests are required to complete their stay to be able to write reviews on Hotels.com). Taylor L. Cole, APR, Director of PR and Social Media for Hotels.com North America, sees the value in star ratings. “While there’s no universal guide overall, we feel that guest reviews really are imperative because those are users that have an opinion rather than something that the industry would say,” Cole said. Of course, if you live outside of the U.S., ratings are different. If you live in Europe, you are probably familiar with the Hotelstars Union, created by Austria, Czech Republic, Germany, Hungary, Netherlands, Sweden and Switzerland. Estonia, Latvia, Lithuania, Luxembourg, Malta, Belgium, Denmark and Greece have since joined. The Hotelstars Union’s criteria can be found on Hotelstars.edu. In the United Kingdom, there’s a five-star system maintained by the Automobile Association (AA), featuring 60 points of assessment broken up into three broad categories: Hotel type, Guest Accommodation type and Budget Hotels. Then there’s the World Hotel Rating (WHR) project. Incorporated in 2009, World Hotel Rating aims to develop a worldwide system that rates hotels and resorts using the same criteria. Since 2009, WHR has established 10 different categories of hotels. 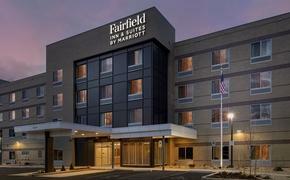 It now features 75,000 hotels and more than 500 hotel chains in 25 countries across the globe. Perhaps WHR will develop enough to be globally recognized down the road, but the project is certainly no easy task. For now, travelers have to rifle through different types of rating systems with a judgmental eye, hand-picking which reviews suit them best.